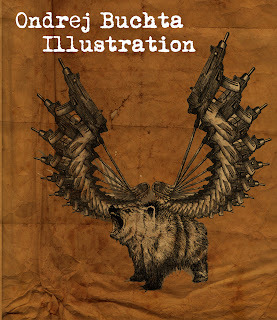 Ondrej Buchta Illustration: My new Illustration blog logo! 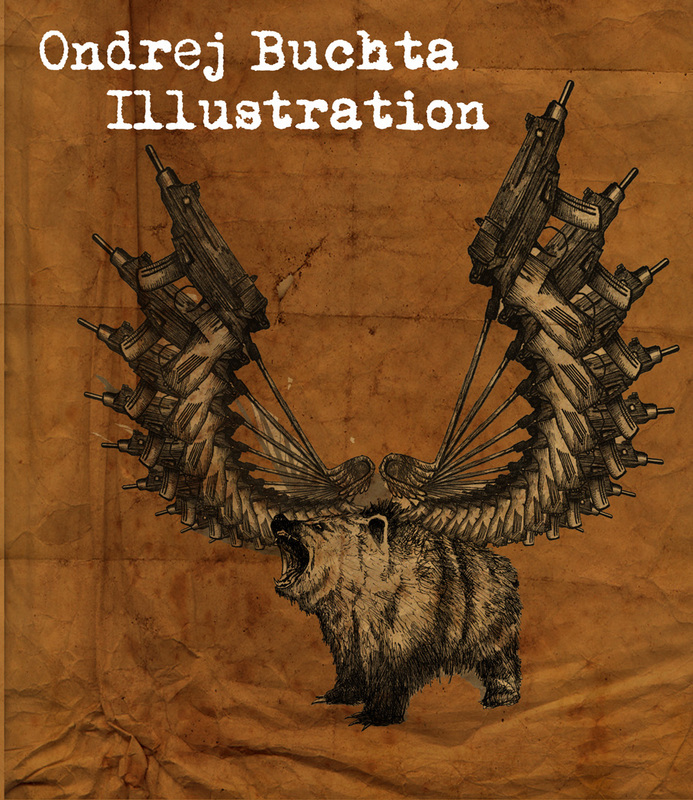 My new Illustration blog logo! I got a little bit bored of that angry kid, which has been the "welcome image" for anyone who ( I guess rather accidentally ) visited my blog. I guess it just scared everyone away :-) So I'm bringing a new one to my poor audience, and that's THE Bear, one of the elements from my recent project combined with another element, sub-machine gun Skorpion type 60, and not only one but the whole bunch of them, creating the shape of the wings.